Ever noticed how when life gets busy, you get tired? Or maybe you just get the afternoon slumps where you could use a little boost. 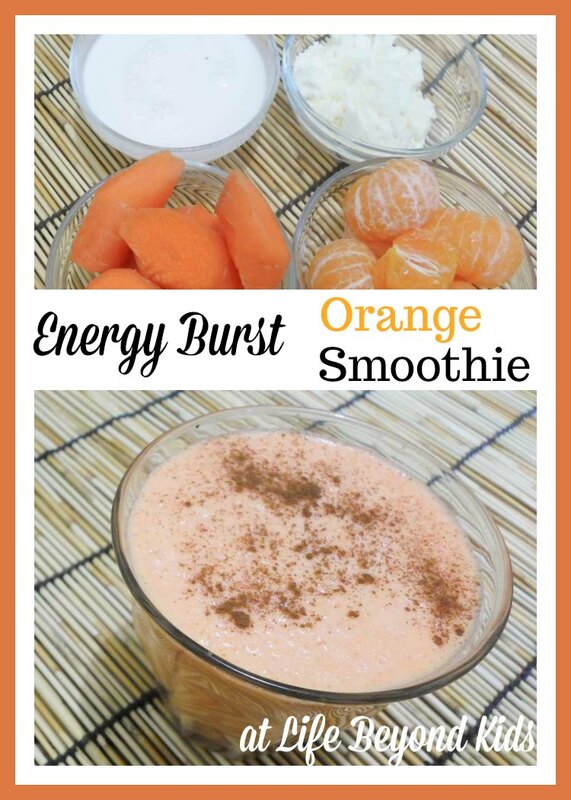 Then you should try an Orange Energy Burst Smoothie! Until I started drastically changing my diet, I didn’t realize that what I ate was severely affecting my energy levels. Making these changes has allowed me to kick reliance on caffeine to the curb! 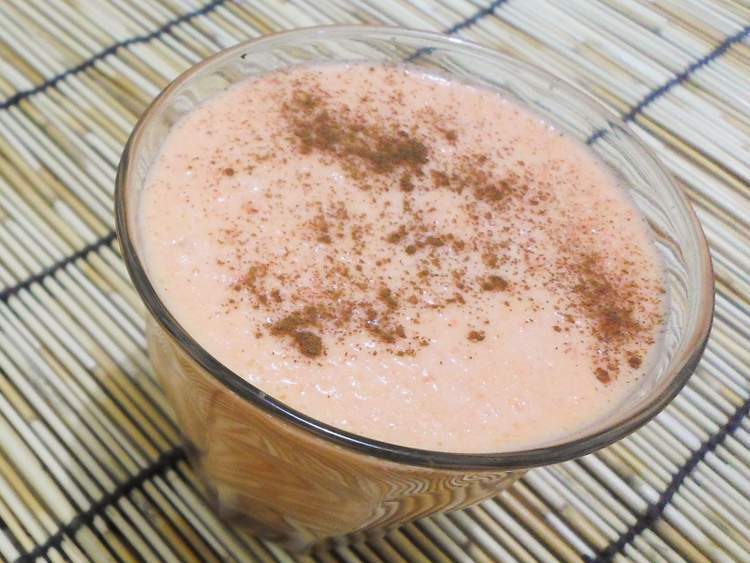 This antioxidant-rich drink combines cinnamon, oranges, and carrots and brings you the goodness of vitamin A, C, and E, fiber, and lots of protein! Note ~ Affiliate links are present in this post for your convenience. Using them costs you nothing and may net this site a small commission. Why Drink An Orange Energy Burst Smoothie? 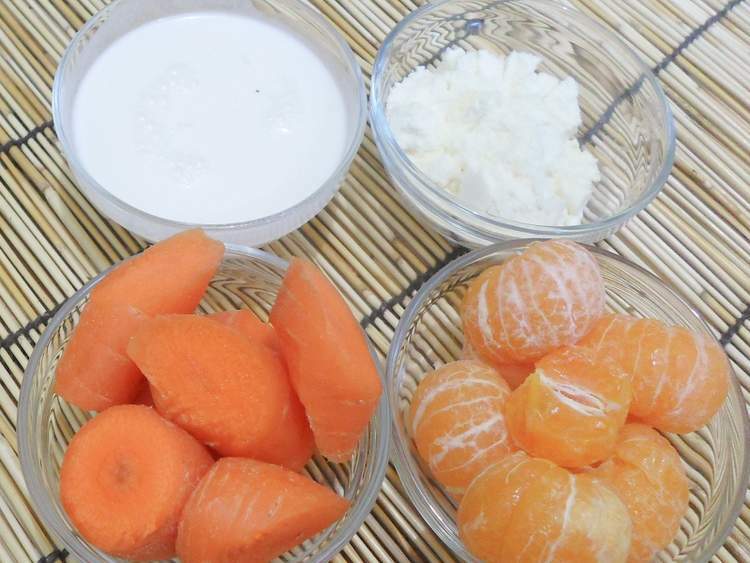 The carbs in the carrots and oranges give you energy as the antioxidants help repair your body and soothe stress away. The protein powder helps keep you full and satisfied. No need to add sugar, the ingredients are naturally sweet! Because you are going to be blending carrots, I recommend using a good blender. 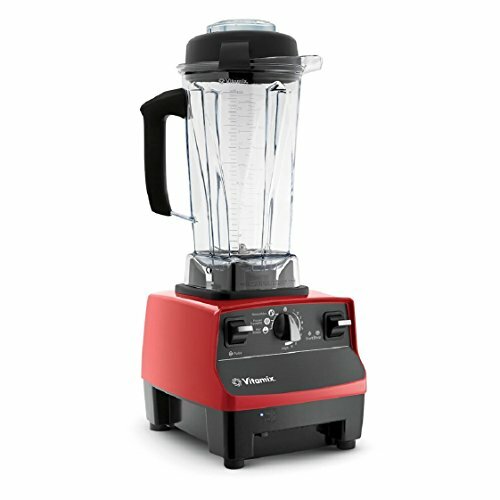 I have a Vitamix which I love and use daily. 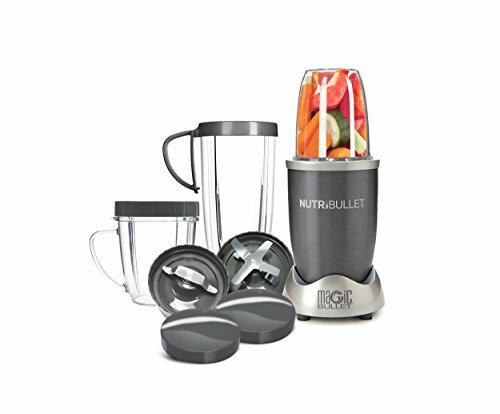 If you have chopped the carrots into small pieces, then a bullet style blender can work as well. I have owned a Ninja and it worked great for almost 2 years until it died. 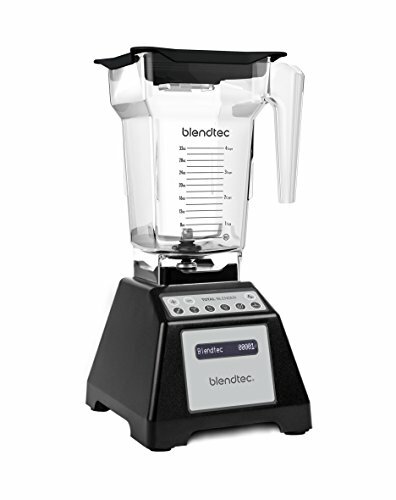 I do use a blender at least once per day if not multiple times, so it had some heavy use. 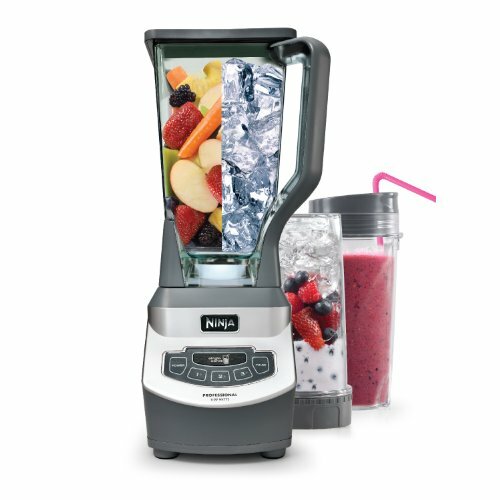 I do have a bullet style blender system for our RV as it is a smaller footprint. However, I do not expect them to last nearly as long as the ‘big boys’ of Vitamix and Blendtec. To avoid needing ice, freeze the carrot pieces and orange slices in a bag before making this smoothie. They should be in the freezer for at least an hour to be sufficiently cold. This is enough for 2 to share for a snack or it can be a meal. Remove the oranges and carrots out of the freezer a few minutes before blending as you gather the remaining ingredients. Place the almond milk, vanilla protein powder, oranges, and carrots in a blending bullet or blender. Blend until smooth and creamy. You may need to pause and give your blender a bit of shake from the side to make sure the carrots get really blended with the rest of the ingredients. Pour into a glass and top with a dash of cinnamon. What foods do you find help you increase energy? Are there foods you have cut because they typically lead to an energy drain?